New legislation introduced by Republican senators would cut off funding to the United Nations after members recently voted on a resolution that denounced Israeli settlements. The US abstained from the vote, which helped to shepherd its passing. The bill, Safeguard Israel Act, sponsored by Senators Lindsey Graham (R-South Carolina) and Ted Cruz (R-Texas) would stop the flow of funds to the UN until the president confirms the repeal of a UN Security Council resolution that called Israel’s expansion into Palestinian territories a violation of international law. Graham, who oversees funding for the State Department and foreign operations in the Senate, called the vote "a slap" against the United States’ Middle East ally. 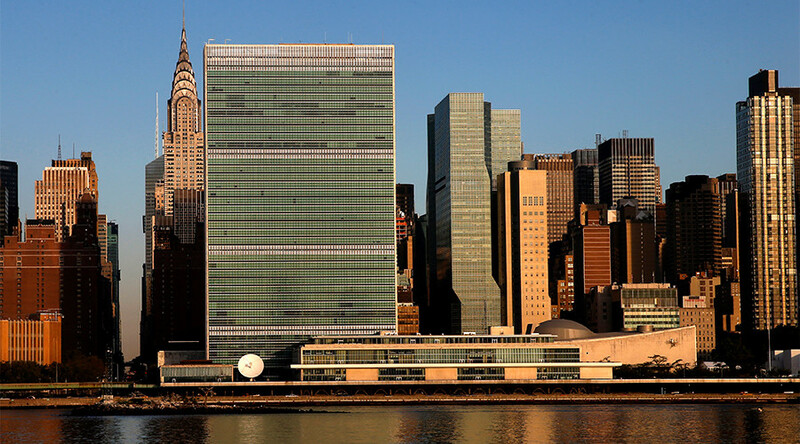 “Twenty-two percent of the money to fund the UN comes from the American taxpayer. I don’t think it is a good investment for the American taxpayer to give money to an organization that condemns the only democracy in the MidEast, and takes the settlement issue and says that the most important and only issue in terms of impediment to peace,” Graham told MSNBC. Graham’s statement contradicts the conclusions of a Brookings Institution poll, which found nearly two-thirds of Americans favor UN resolutions demanding a halt to settlements and that a majority of self-identified Democrats support some form of sanctions towards Israel to bring about peace. Each year, the US gives approximately $8 billion in mandatory payments and voluntary contributions to the international peace agency and its affiliated organizations. About $3 billion goes the UN’s regular peacekeeping budgets. The resolution, however, is toothless, as it does not authorize any form of sanctions to compel Israel to respect international law. The resolution vote came the same year the Obama administration awarded Israel with its largest military aid package ever, signing a memorandum of understanding in September that would give it $38 billion over 10 years. However, Cruz overlooked that package when he told MSNBC that Obama had "betrayed decades of robust bipartisan American support for Israel" by having his administration abstain from voting on the resolution rather than vetoing it. "Congress must hold the UN accountable and use our leverage as its largest contributor to push for the repeal of this resolution, making it clear to the world that Congress stands unequivocally against efforts to undermine Israel," he added. Obama and Kerry faced bipartisan backlash over the resolution late last year, with Republican and Democratic lawmakers publicly urging them ahead of the vote to use the US's veto authority to kill the resolution. The House passed a resolution on a 342-80 vote last week denouncing the Security Council vote. The Senate has introduced its own resolution, which is backed by 68 senators, though it hasn't yet come up for a vote.